The reputation of all the villages and regions of the country is not all about its beauty and nature, sometimes the reputation of an area is the suffering of its people. 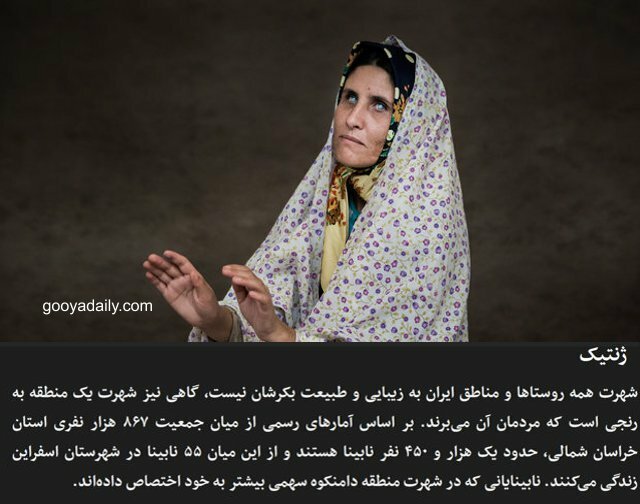 According to official statistics, about 1,450 blind people are among the 867,000 people in the Northern Khorasan province, of whom 55 live in Esfarayne. Blind people who have a bigger share as a percentage of total population in this area, than any other place in the country.